The Grammy Award-winning LAGQ is one of the most multifaceted groups in any genre. 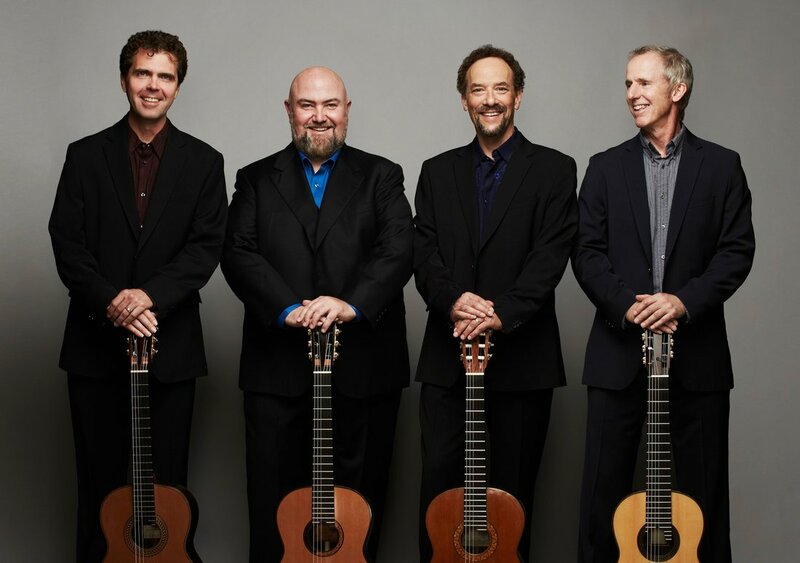 The LAGQ is comprised of four uniquely accomplished musicians bringing a new energy to the concert stage with programs ranging from Bluegrass to Bach. They consistently play to sold-out houses world-wide. Their inventive, critically acclaimed transcriptions of concert masterworks provide a fresh look at the music of the past, while their interpretations of works from the contemporary and world-music realms continually break new ground. Programs including Latin, African, Far East, Irish, Folk and American Classics transport listeners around the world in a single concert experience. Their ‘Don Quixote’ collaboration with Firesign Theater veteran, actor Philip Proctor, continues to expand and delight audiences and the work 'SHIKI: Seasons of Japan' written for the LAGQ plus guitar orchestra by composer Shingo Fujii is connecting communities across the nation.